1/2 Pound Package - Crispy bacon crumbles mixed into whole wheat flour. If your dog loves bacon this the treat for him/her! 1/2 Pound Package - Whole Wheat Flour & Oats with Bacon Drippings drizzled into the dough. 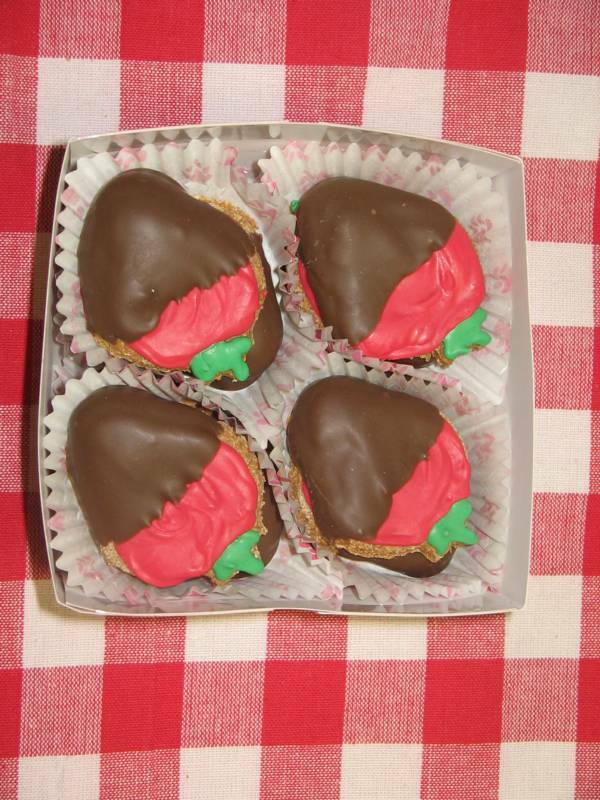 Box of "Chocolate Covered Strawberries"
1/2 Pound Package - Whole Wheat Flour with freshly grated Cheddar & Parmesan Cheese. 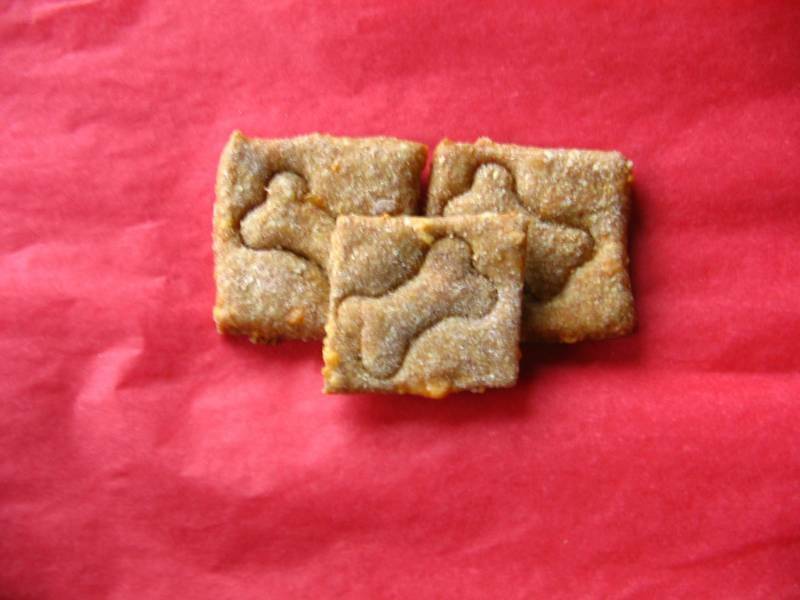 Great for the dog that loves cheese! 18 two inch Hearts decorated with fun phrases like "Be Mine", "Woof", "Kiss" & "XOXO"
1/4 Pound Package. 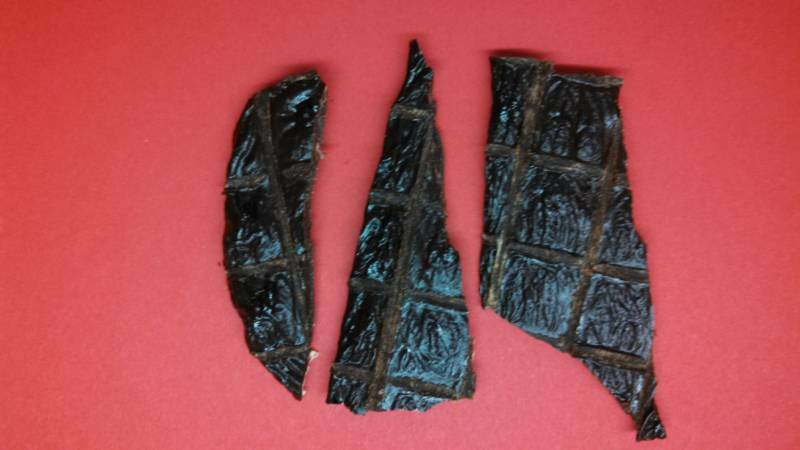 - Fresh Beef Liver dehydrated into crispy pieces. 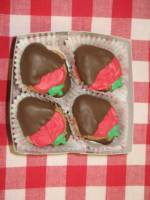 This is a GREAT training treat & is Wheat FREE!!! 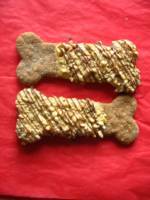 1/2 Pound Package - Creamy Peanut Butter, fresh chopped Peanuts & Honey blended into Whole Wheat Flour. 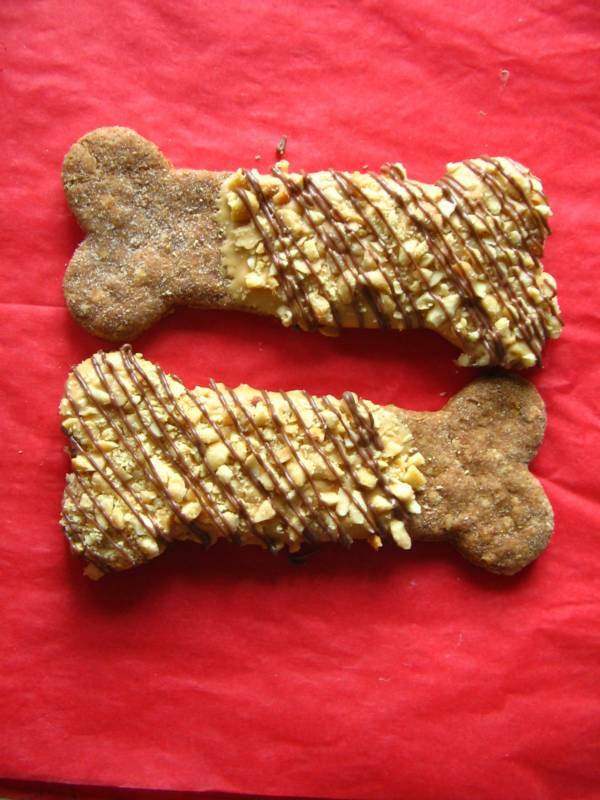 4 Large Peanut Butter Bones dipped in Peanut Butter Coating, sprinkled with fresh chopped Peanuts and drizzled in Carob. 2 oz. 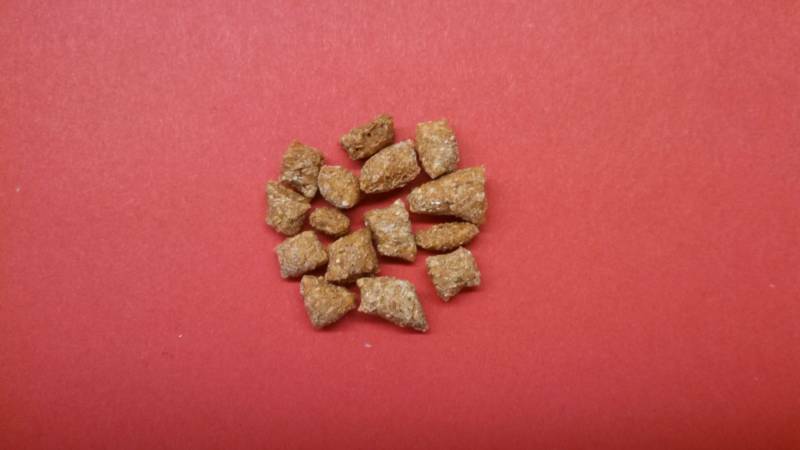 Package - Tuna and Organic Cat Nip mixed in whole wheat flour, baked into a kitty bit size crunchy. 2 oz. 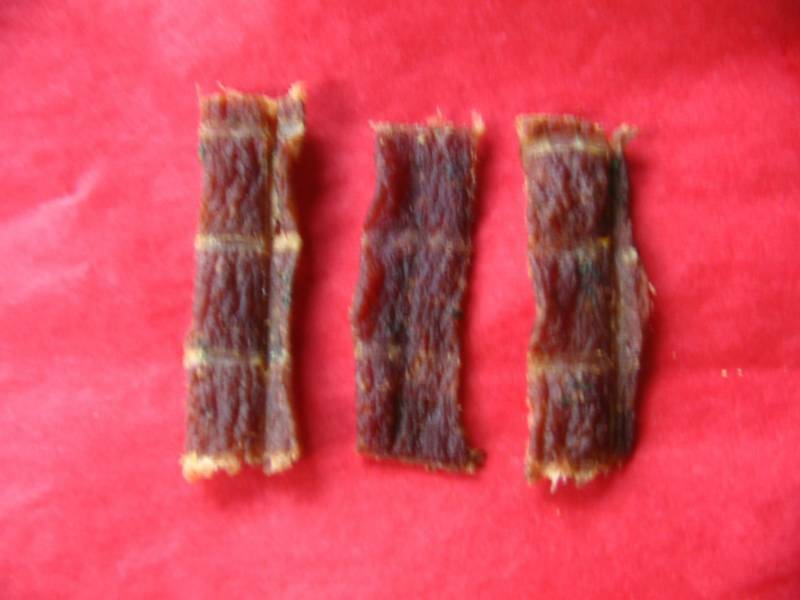 Package - The same Award Winning Turkey Jerky that the Dogs love in small bit size Kitty Pieces. 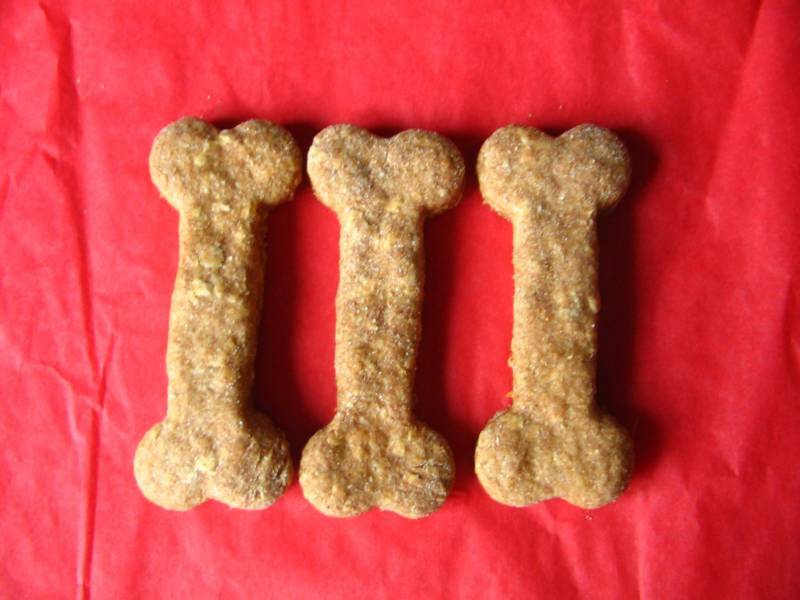 4 Large Basic Bones dipped in yummy Yogurt Coating and drizzled with Carob. 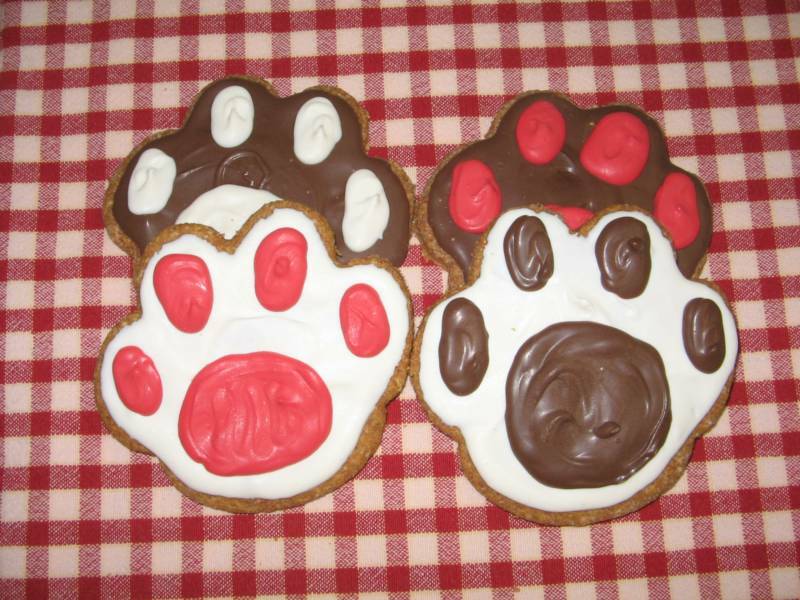 All of our treats are made of Human Grade Ingredients...meaning yes, they are safe for people to eat. 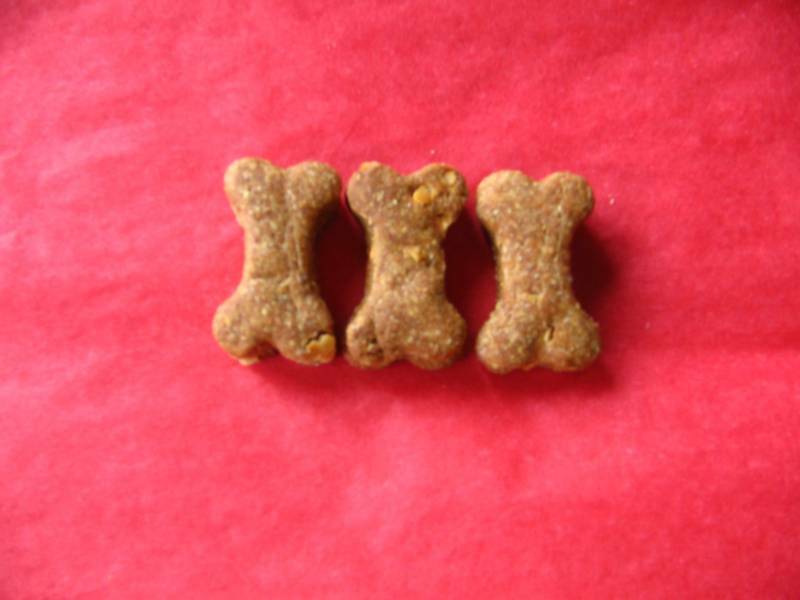 However, keep in mind they are not as sweet, spicy or salty as human treats are. 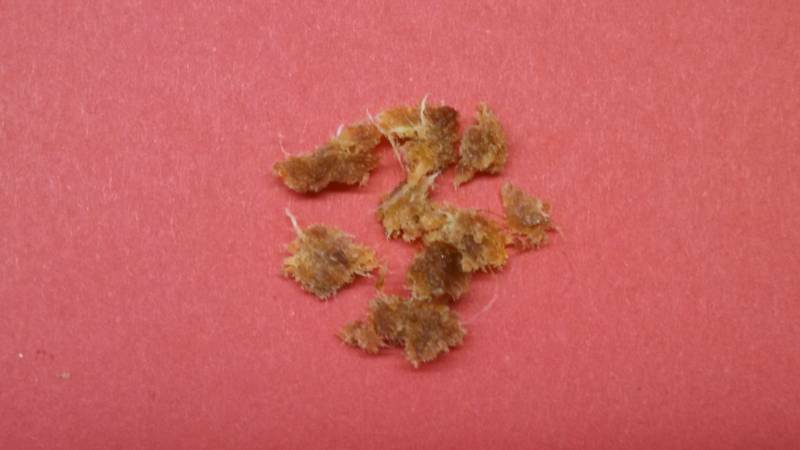 Plus, they are a lot crunchier! 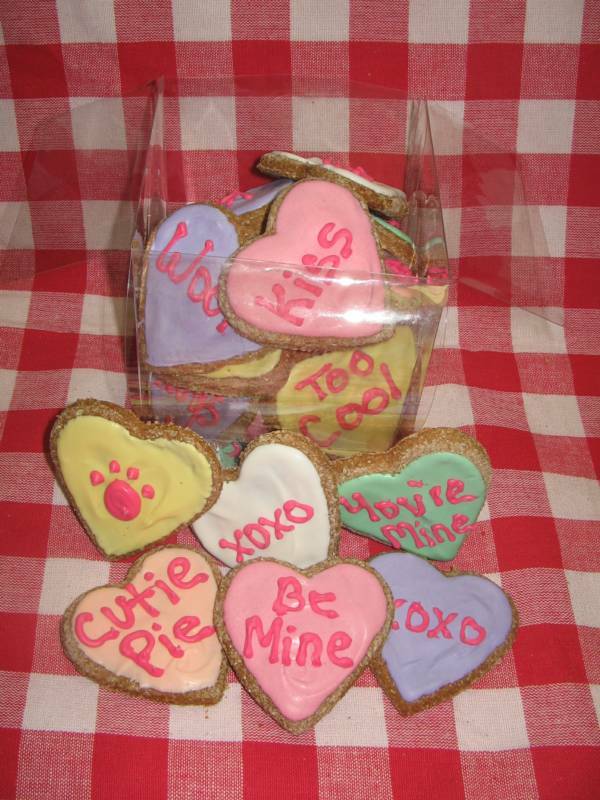 Because we developed the recipes for our treats if your dog can't have a curtain ingredient let us know....we can change the recipe for him/her! What is Carob? 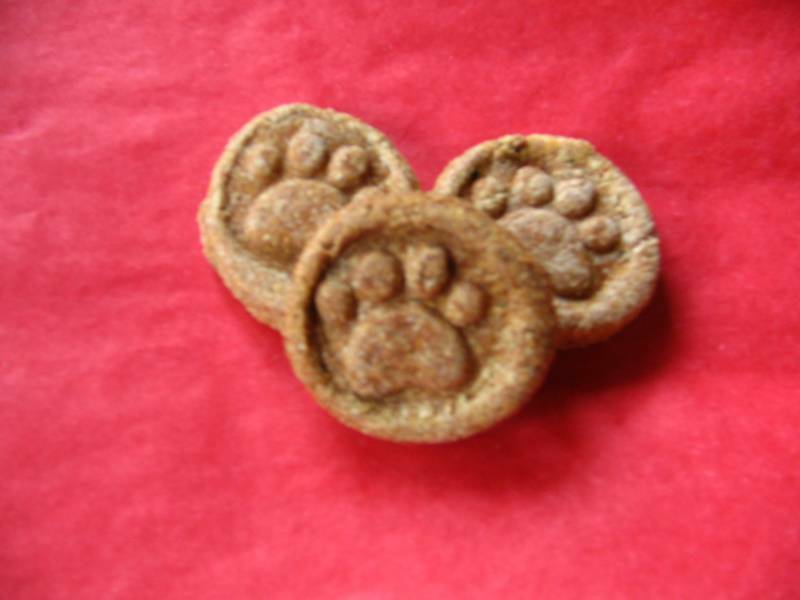 Carob is similar to chocolate, but will not harm your dog like chocolate will. It doesn't have the sweetness the chocolate does either. Once you are ready to "Check Out" you will be redirected to PayPal. 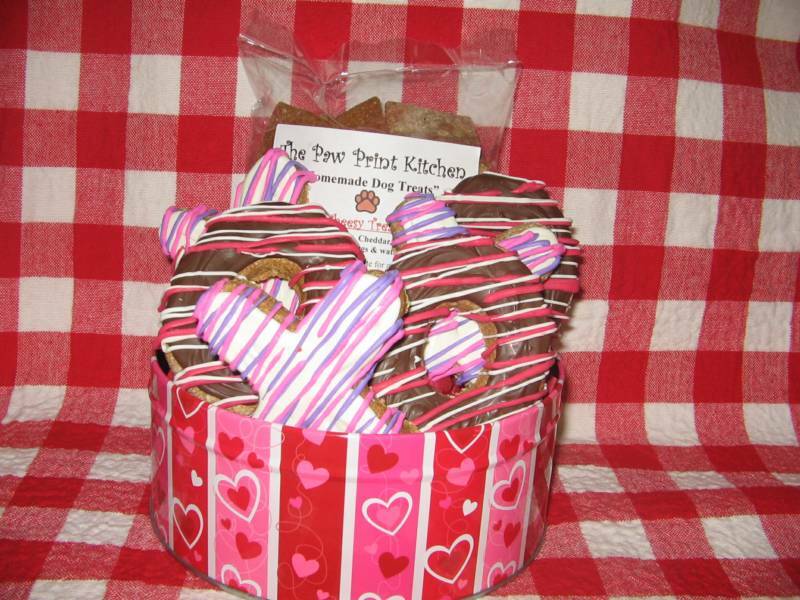 If you do not have a Paypal account please call us at 330-931-0153 or email us at thepawprintkitchen@live.com and we will be happy to help you place your order.